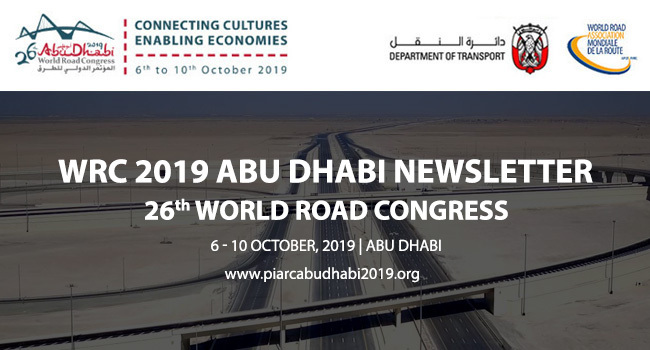 It is with great pleasure that I invite and welcome you to Abu Dhabi, the magnificent capital of the United Arab Emirates, to participate in the 26th World Road Congress of the World Road Association (PIARC) between the 6th and 10th of October 2019. Choosing Abu Dhabi to host this global event could not be more apt for a road congress not only as the UAE has, for the fourth consecutive year, been ranked 1st in the Quality of Roads Index in the World Economic Forum Global Competitiveness Reports but also because few other places can rival the UAE’s achievements when it comes to the Congress’s theme: Connecting Cultures, Enabling Economies. The 26th World Road Congress promises yet another unique opportunity for road and transportation professionals to share and seek knowledge, ideas and innovations whilst experiencing Abu Dhabi’s hospitality and distinctive offerings; we hope that you avail yourself to it and participate in this truly global Congress. Where to meet the WRC team in 2018? • Abu Dhabi tourist numbers rise 5% in first five month of 2018. • In 2018, Numbeo, a website for crowd-sourced global data, has appointed Abu Dhabi as the safest city in he world for the second year, surpassing more than 300 cities, including Tokyo, Basel, Munich, and Vienna. • In 2017, Abu Dhabi has been ranked the 2nd best city in the world to live, work and do business in, according to the Ipsos Top City Index. • In 2017, Abu Dhabi has been ranked among the fastest-growing destinations in the world in recent year by the Global Cities Index Report by financial services giant Mastercard. "The 24th World Road Congress was held in Mexico City in 2011. 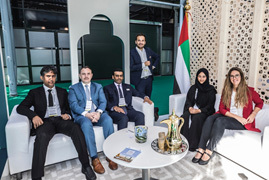 The Congress program was composed by 40 sessions, conferences and workshops, attended by more than 5,000 delegates coming from 107 countries - included 33 Ministers and Deputy Ministers - and an exhibition with 18 national pavilions, 165 exhibitors and 3,600 attendees. The 24th Congress offered attendees a unique opportunity to discuss topics related to roads and transport and continues to be the global reference platform for the analysis of the challenges facing roads and the dissemination of updated knowledge about them."